COMMENT | Pacta sunt servanda dictates that the clauses of all contracts should be respected. Once signed, they cannot be violated, as should be the case with all contracts that are fair, proper and based on due diligence. But the now-cancelled Kuala Lumpur-Singapore High-Speed Railway (HSR) contract was largely conceived by former prime minister Najib Abdul Razak – who is now on the receiving end of public opprobrium over some of the world's largest corruption cases involving 1MDB and SRC International. "Largest", odd as it may sound, does not even do justice to the magnitude of the alleged corruption. 1MDB alone runs the risk of setting Malaysia financially back by some US$12.5 billion, with nothing built as yet. Indeed, the Tun Razak Exchange (TRX), that forms part of Bandar Malaysia, is not even completely owned by Malaysia. The Exchange 106 tower, which juts out from TRX, for example, is co-owned by Indonesia’s Mulia Group, while the tower is built by contractors from mainland China. If such transactions do not raise serious alarms, then what does? Contracts, according to the pacta sunt servanda maxim, must be fair and just. They cannot be agreements to lock one in an exploitative and servile relationship. If the latter is true, then contracts signed between masters and servants (or, indentured labourers) would have to be timeless and inviolable as well, but – as we have seen throughout history – they are not. This brings us to HSR, Exchange Tower 106, TRX and Bandar Malaysia, all at once. Why in heaven's name have these potential landmarks been met with odium and not awe? Well, to begin with, Najib is now under suspicion of involving the Malaysian government of in grand larceny. This is why he and his wife Rosmah Mansor are blacklisted from leaving Malaysia, as the amount of alleged corruption, malfeasance and abuse of power involved is simply humongous. 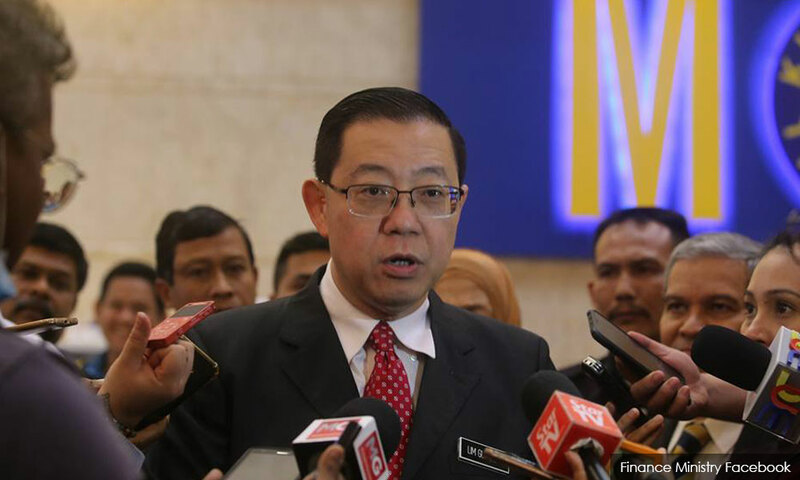 Some contracts, as Finance Minister Lim Guan Eng has revealed, involved paying overseas contractors a large chunk of the fees when little work had been carried out. Truly, something is rotten in the state of these agreements. 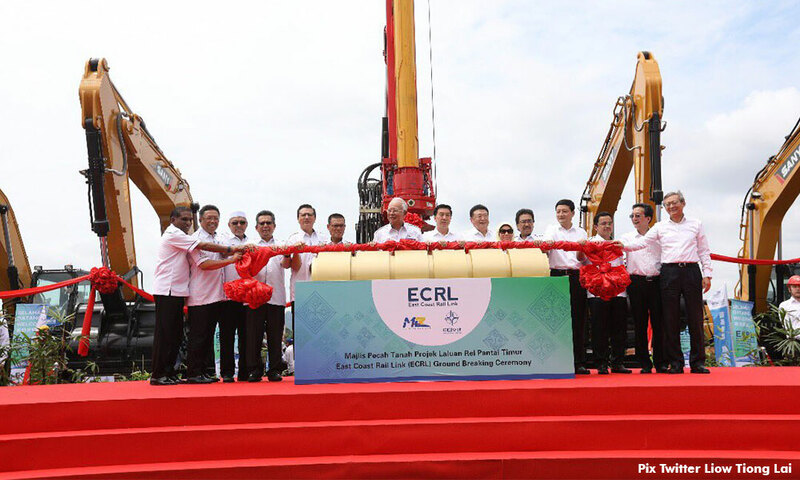 Thus, it would be sheer lunacy, and indeed a total dereliction of public duties, if Prime Minister Dr Mahathir Mohamed had not put a halt to all these projects, be it the HSR or the East Coast Railway Line (ECRL). Pacta sunt servanda should be sacred. But so should due process, in cases where the scales of justice are tipped towards corrupt practices, however slightly. As things stand, Najib has no answer other than to rely on the rough estimates offered by economist Hoo Kee Ping. Hoo is known to have said that the ultimate value of Bandar Malaysia would be anything from US$30 billion to US$40 billion. Even then, Najib conceded recently that it was more likely that the value of Bandar Malaysia, in two decades' time, would reach US$30 billion only, rather than the upper scale of US$40 billion. But the point is this: how can Najib – or rather, an unabashedly pro-Najib economist who appeared in an BN campaign advertisement – be trusted to get the figures and returns right? Thus it is beguiling that there are those who cannot separate the wheat from the chaff. Wee Kek Koon, writing in South China Morning Post, claimed that ancient Chinese traditions do not allow the nullification of the contract in any form. By his logic, China would have been stuck in all its uneven agreements signed with colonial powers in the 19th century to this day. Of course, this is not the case. Confucius insisted that governance is rectification (zheng), of the correction of what is wrong. When things are skewed, methods are wrong, or names not consistent with the things or projects at hand, the prime duty of a leader, according to Confucius, is to seek a process of correction to set it right. Cancelling the HSR alone is a process. As a neighbour of Malaysia, Singapore is obliged to understand the contract in the larger context, especially when the previous government was downright corrupt. The issue involved is not the penalty of RM500 million, but the principle at stake. Would Singapore or any country for that matter be happier when Malaysians carry the debt burden of profligate and corrupt leaders? Indeed, cancelling the ECRL alone would incur a penalty of RM 22 billion. Is this what China stands for in the greater context of One Belt One Road initiative, even when corrupt leaders have helped themselves to large servings of public funding? Since when must pacta sunt servanda be applied to such a degree that there can be no review at all? Ancient Chinese tradition, contrary to what Wee believes, permits – indeed, necessitates – the process of constant renewal. In fact, when the Guangxu Emperor came to power in 1898, he launched a Hundred Days' Reform to set things right following the First Sino-Japanese War. He was stopped only by Empress Dowager Cixi, and the Qing dynasty collapsed soon after in 1911. Indeed, the current People's Republic of China and Taiwan owe their current new circumstances to the politics of Sun Yat-sen. It was he who believed that China must change and adapt to the new world, based on nationalism, democracy, and the livelihood of the people, which is encapsulated as the Three Principles of the People. Wee is stuck in a Chinese amber, and has confused his personal preference for the HSR with a misreading of history. RAIS HUSSIN is a supreme council member of Bersatu and heads its policy and strategy bureau.